Can you believe we are in November already? This also means that my absolute favorite holiday of all, Thanksgiving, is just a few weeks away! Whoo-hoo!!!! 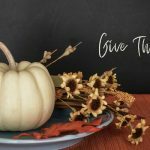 I love Thanksgiving for all of the reasons I shared here. It’s a special day to spend with your loved ones feasting on great food, enjoying wonderful fellowship and acknowledging all of the blessings we have received. 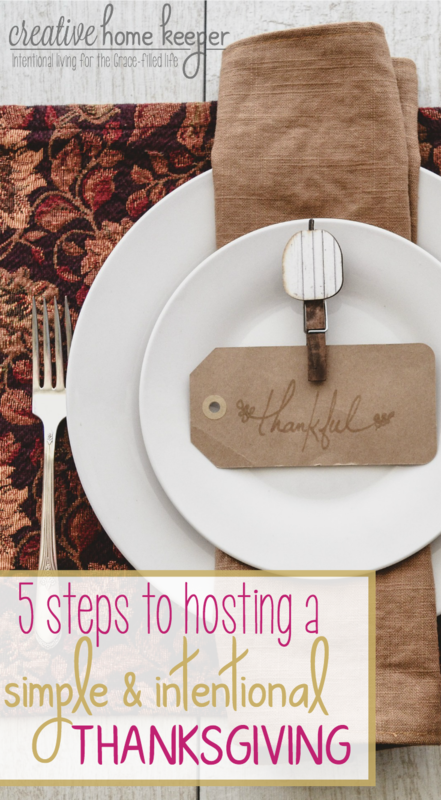 Thanksgiving is also a pretty big meal to plan and make, especially if you are hosting. There is a lot of prep work that goes into it but if you spend a little bit of time planning today, you’ll be ready for the big day with no stress! 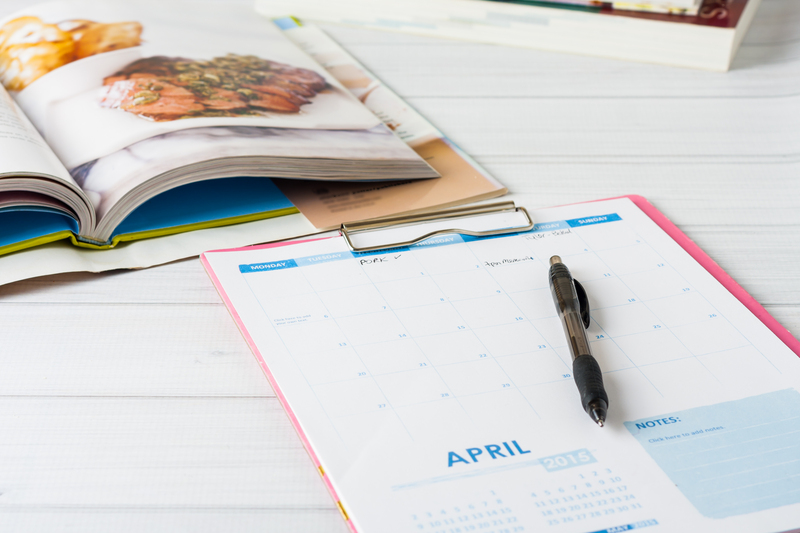 With about four weeks away, now is the perfect time to sit down and create a plan of what you will serve if you are hosting. Write out all the dishes, even if you aren’t making them all. Include the main dish, whether that be turkey, ham or whatever your family serves, all of the sides and appetizers, and of course the best part of the meal… the desserts! If others are helping you prepare the food, now is the time to let everyone know what you would like for them to make. This gives everyone plenty of time to plan and prepare too. 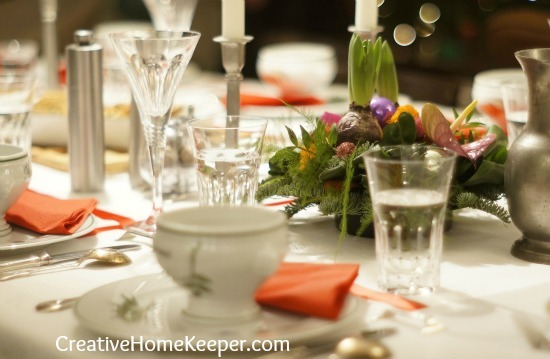 If you are attending a Thanksgiving dinner, ask the hostess what you can bring, whether that be food, paper goods, drinks or even decor. Do you need a little help planning your Thanksgiving dinner? 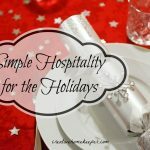 Download my Complete Simplified Meal Planner with over 50 pages of printables to help you plan your menus, including a special holiday meal planner! Once you have your meal planned out, write out your grocery list of every single ingredient you will need. I like to make my list based on how my grocery store is set up (you can find this in the Complete Simplified Meal Planner). This master list will help you stretch your budget because many grocery stores already have many items on sale. In fact with the exclusion of fresh produce, you may very well be able to stock up on all your cooking and baking supplies over the next week or two! I like to sit down and plan for both Thanksgiving and Christmas at once so I can create a master list of everything I need to cook and bake with over the next two months. This way when I sit down with my grocery store’s weekly ad, I can start knocking items off my shopping list! Do you keep things simple or do you go all out? Do you like to make personalized place cards and tablescapes or do you just use basic table linens? Thinking through your decor now will give you plenty of time to make sure you have all the supplies and time you need to make or purchase something. Sometimes we have the best intentions but if we don’t make a plan, our crafts or decorations never get accomplished. And don’t just think about crafty decor items either. Do you have or need a tablecloth? Napkins? Candles? Most of those things are on sale now, especially as stores are trying to remove their fall decor to make room for Christmas. A few weeks out is also a good time to make sure you have enough serving dishes, place settings, glasses, and silverware. There is nothing worse than trying to set the table on Thanksgiving only to realize you are short a few plates or glasses. For the record, it doesn’t have to be fancy either! If you have heirloom china and you love to use it, set it out. If you are fine with everyday tableware, set the table proudly. I have hosted and have been to many a meal where we enjoyed a fun and festive meal on mismatched plates. Honestly, unless you make a big deal about it, chances are your guests won’t either. Finally, if you haven’t already done so, think through your Thanksgiving traditions. What are some things you and your family do every year? Do you watch the Macy’s Thanksgiving Day parade together in your PJs? Do you play a rousing game of football? Do you sit down and plan out your Black Friday shopping trip? Do you play any games during dinner or afterward? Do you watch Christmas movies once the table is cleared? Take a few minutes and think through the traditions that make the day so special and unique to your family. Include them in the conversation too! What does each of your children look forward to the most? 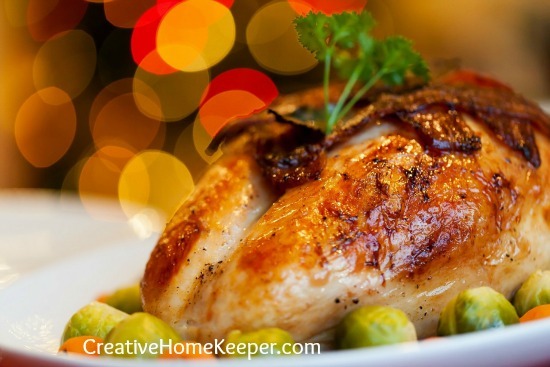 Do they want to help you cook this year? It’s best to include everyone in the conversation to make sure a little part of all their desires are included. 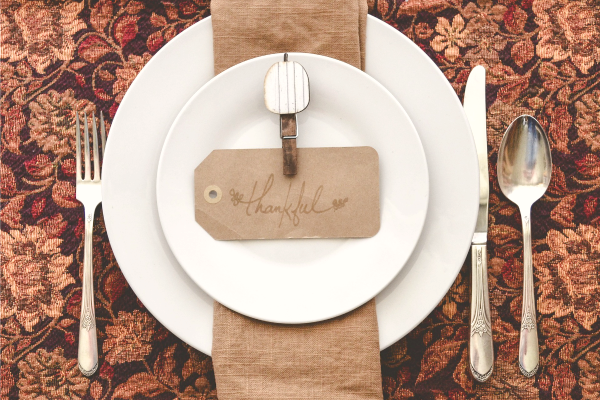 What are some things you do to help make your Thanksgiving simple and intentional? We always host a potluck with friends, that way no one has to do to much cooking! I make sure I have some easy prepped meals for the days leading up to thanksgiving so I’m not scrambling preparing dinners while I’m preparing for thanksgiving too. Awesome idea on the meal planner! Definitely gonna try that since we have a lot of parties to go to. We try to keep things low key, we don’t rush around, we take it easy and relax on Thanksgiving!! We come together as a group to all prepare the meal. Some bring dishes others help at the house. It really makes it so the host is not exhausted and can enjoy Thanksgiving like everyone else. We focus on the people more than the food. What we eat on Thanksgiving is not near as important as who we are with. 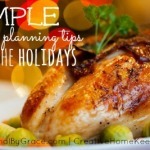 I find the best way to get ready for Thanksgiving is to plan ahead! Love the planner! We keep things pretty low key around here. There are always people in and out of the house. Some just pop in for a quick visit. I always have some little appetizers for those who are not staying long. I also have lots of tinfoil or Tupperware to send my guest home with food too. No stress, just friends and family, getting together and being thankful for the time together! We do potluck, so it not just on 1 person, we also prep days before, to make all the cooking easier. I really need to use this meal planner…it will save me much stress. These are great tips and will work with any family/friends gathering. Thanks for sharing.